In the last few months, there has been an increase in the number of alleged attacks by suspected herdsmen on innocent civilians across Nigeria. These attacks have occupied commentators from across the political and religious spectrums in Nigeria. Many of who have blamed these attacks on Nigeria’s Fulani herdsmen. In Nigeria, the Fulanis are a Muslim-majority ethnic group, whose pastoral life is heavily dependent on animal pastures. As a result, some commentators have suggested that the attacks by those suspected to be Fulani herdsmen are an attempt by the Fulanis to reproduce the Usman dan Fodio Jihad of 1804 with the intent of spreading Islam across the country. The fact of Nigeria’s current President Muhammadu Buhari being a Fulani Muslim is also used by those who speculate that the Fulanis are intent on capturing the Nigerian state. That much conversation around the topic of the alleged herdsmen attacks in Nigeria centres on speculation, particularly on social media platforms, has not only meant little concrete analysis, but has further enabled the spread of unhelpful, and damaging, discourse on the subject. The children of the ‘Baba Yaya’ era are today’s commentators, and they now advocate the annihilation of ‘Baba Yaya’. Many of the widely-circulating pictures of alleged AK47-wielding herders have been discredited as either photo-shopped or as simply images found elsewhere on the Internet with no connection to Nigeria. Even more damaging are those such as Bishop Oyedepo, of ‘Winners Chapel’, who falsely claims to have received a letter from herders stating that “God had given them the land”. In all the talk, the question that remains unasked is why and how a pastoralist community suddenly becomes a roving insurgent across the country? In answer, there are four inter-related factors that are worth considering: the emergence of Boko Haram, the effects of climate change on herders, the spread of small arms across the Sahara Desert, and the growing ethnic and religious mistrust in Nigeria. Up until the 1970s and 80s, many Nigerian communities lived harmoniously with pastoralists. Anecdotal stories abound of children living in the rural communities of the 70s and 80s welcoming Fulani herders to their town centers with chants of ‘Baba Yaya’. Calling the herders ‘Baba Yaya’ was not meant to discount the importance of fatherhood for the herders but was a recognition of the love the herders had for their herds and their own children who would also follow them around as they herded their cattle. We no longer hear these stories. Many of the widely-circulating pictures of alleged AK47-wielding herders have been discredited as either photo-shopped or as simply images found elsewhere on the Internet with no connection to Nigeria. Recent reports indicate that more people are now being killed by the herdsmen violence than by Boko Haram in Nigeria. But what the numbers disregard is the correlation between Boko Haram’s dislodgment from the terrorist group’s most active sites in Nigeria’s northeast and the rise in violence associated with so-called herdsmen in many parts of Nigeria. This is not to dispute that there are some attacks that have been perpetrated by herdsmen, it is rather to suggest that many of the attacks that have been alleged to have been carried out by herdsmen may actually have been attacks carried out by remnants of Boko Haram dislodged from their most potent spaces. Many dislodged Boko Haram militants have basically turned themselves into roaming insurgents across the country. The crisis is further compounded by the associated problem of the number of small arms floating within the West African corridor, particularly the Maghreb route. The instability brought about by Boko Haram’s insurgency in the northeast has also meant that many pastoralists have had to relocate their cattle to where they have been able to find better pasture for their herds. The increased presence of herders looking for pasture in areas where they had previously not been, has largely resulted in the destruction of farmlands, especially in areas not used to seeing, or feeding, large numbers of herd. This has led to the destruction of lives, property, and increased mistrust. Economic, religious, and political anxiety among the population in the south has been the overarching effect. The crisis is further compounded by the associated problem of the number of small arms floating within the West African corridor, particularly the Maghreb route. The large numbers of small arms in the region has also meant a rise in rebellions, particularly in countries such as Nigeria with a weak security architecture. A weak security architecture combined with social injustice creates rebellions that, in most cases, lack ideological clarity. The lack of clarity makes rebels susceptible to sponsorship from different interests. Interests who no longer have access to patronage from the state, and now seek to destabilise that state. Many governors who have been elected both by indigenes of their states and by state residents, including Fulanis, are now plagued by the policy nightmare of cattle invasions. The effect of climate change on the rise of social inequality in many parts of the country has meant the susceptibility of socially vulnerable groups to easy recruitment by ideologically dysfunctional insurgent groups. The Lake Chad Basin, which had, for instance, provided durable employment for many young adults in the region is now drying up. Many whose livelihoods have, for many years, depended on their ability to fish, graze, or farm are now having to contend with two obstacles—rivers that are drying up due to climate change and the Boko Haram insurgency. In the absence of gainful employment, those who cannot flee the insurgents are either forced into it or incentivized to join it. In the hysteria, elites in Nigeria’s south are leading many of their states into abandoning the project of animal husbandry as an agricultural policy on a large scale; an industry that sorely needs to be expanded beyond northern Nigeria. In terms of employment opportunities to the states of the south as well the potential productive gains to the country as a whole, the potential of commercializing animal husbandry in Nigeria’s southern states is almost boundless. Many governors who have been elected both by indigenes of their states and by state residents, including Fulanis, are now plagued by the policy nightmare of cattle invasions. 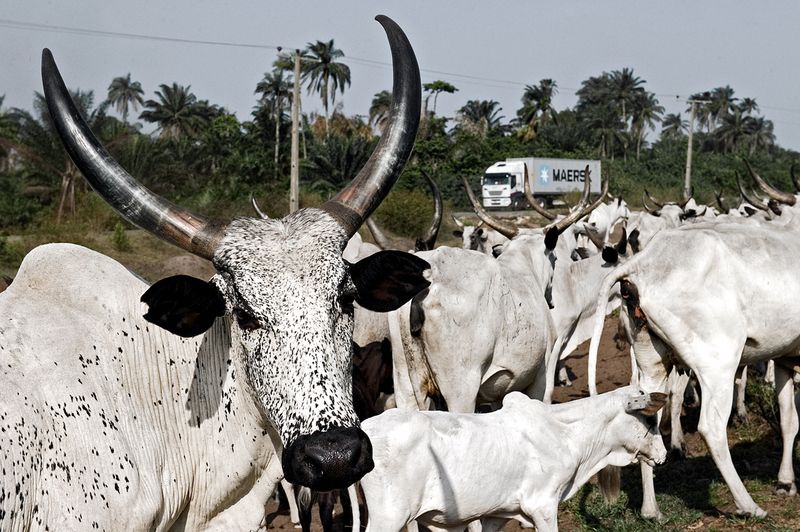 The cattle have become a metaphor for the supposed Islamization of southern Nigeria. And despite being entitled to the same rights as every other Nigerian, the Fulanis are now seen only as the ‘alien’ perpetrators of this nightmare. *This is an edited version of an article that originally appeared on Africa is a Country and is republished here with the author’s permission.